About ten years ago, I was standing next to two young men in Tate Modern, on the south bank of the Thames. 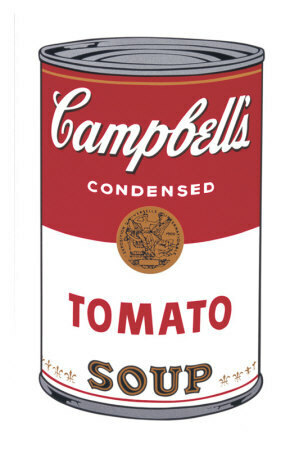 We were all looking at a stack of Andy Warhol’s Campbell’s Tomato Juice Box, a replica in silkscreen ink and house paint on plywood of a wholesale brown cardboard box of a banal grocery product. With equal banality one of the men next to me said “I could have done that”. It was a typical remark that I’ve heard many people make about “modern art”. What made me remember this particular occasion was his friend’s reply – “but you didn’t”. I am not sure I understand why artists who can paint and draw eschew this in favour of signing a urinal or making a cardboard box or cutting a cow in half but I don’t really care. The fact that they thought of it - and did it - and I can look at it, think about it and enjoy it is more important than the level of dexterity involved. 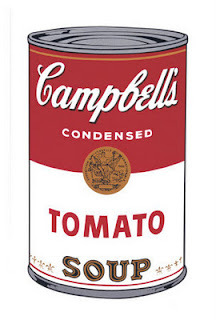 If you go down to the De La Warr Pavilion in Bexhill, you will be able to see the excellent exhibition Warhol Is Here. You won’t find a Campbell’s Tomato Juice Box but you will see a pile of Brillo Soap Pad Boxes, a 1964 work produced in the same way. When I went to the exhibition recently, I could only admire the painstaking detail with which these had been realistically recreated. Ten years on, I was still no nearer to understanding why but – reassuringly for me at the time of life when convention says I should be getting more narrow-minded – I still didn’t care. You will also be able to see the iconic works from 1962, Campbell’s Soup Cans and Marilyn Diptych and other kitsch screenprints of Elizabeth Taylor, Chairman Mao and the electric chair. I could probably say something here about the juxtaposition of the mundane and the extraordinary but I’m not sure what that would be. There is a lot of Warhol’s work on show here - more than I was expecting – including some drawings from early in his career and a collection of posters from his legendarily difficult films such as Lonesome Cowboys, Bad and Flesh. It is a bit of a coup for the De La Warr to have assembled this exhibition so it’s well worth supporting by going along. It runs until 26th February and – the best thing about it – it’s free.